These switches have been designed for use in hazardous areas and for severe applications in the Oil and Gas sectors like oil and gas pipelines, petrochemical plants, refineries and generally in atmospheres which are potentially explosive. 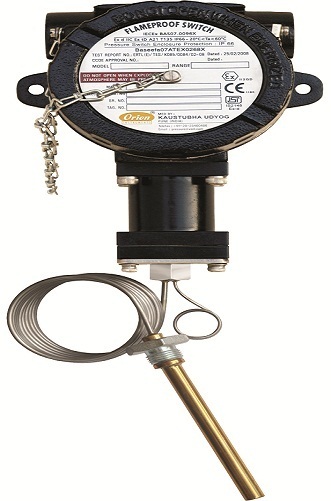 All switches are designed for gas group IIC, the most severe of the explosive gases, and hence can be used in lower severity atmospheres, typically in IIA and IIB. With grey cast iron enclosures, these can also be used in mines. SS enclosures can also be offered for highly corrosive atmospheres. Switches can be configured with a lot of options like electrical elements and sensing element configurations to suit the intended working media. Typical attributes are as follows. IS/IC 60079-0:2011, 60079-1: 2007 and 60079-31: 2008. Switch output 1 SPDT (2 SPDT on request).